Alberto Fabrini has been appointed executive vice president and head of the Bauxite & Alumina business area in Norsk Hydro ASA. The appointment of Fabrini, currently head of operations in Bauxite & Alumina, will be effective June 1. After 36 years in Hydro, Johnny Undeli, currently executive vice president and head of Bauxite & Alumina, will take up a position as special advisor to Hydro’s CEO and pursue board positions. Alamos Gold Inc. appointed David Fleck to its board of directors. Fleck is the former president and CEO of Macquarie Capital Markets Canada, and the former co-head of equity products and executive managing director of BMO Financial Group. 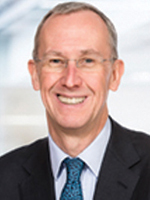 Anglo American announced that Mervyn Walker, group director of human resources and corporate affairs, will retire June 30. Walker’s successor has not been announced. And Themba Mkhwanazi was appointed the CEO of its coal business in South Africa, effective during the second quarter of 2014, following Godfrey Gomwe’s decision to retire. 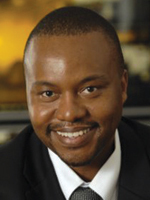 Mkhwanazi is currently Rio Tinto’s regional general manager for the Americas. First Majestic Silver Corp. announced several promotions and changes. Salvador García has been promoted to COO starting July 1. 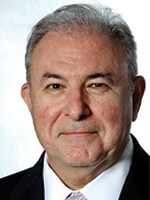 Most recently, García was vice president, Mexico, for Goldcorp. García will replace Ramon Davila who will remain on the board of directors. Davila will also continue to act as the governmental relations officer in Mexico and will remain a member on the Chamber of Mines representing First Majestic. Davila will retire on June 30. Alejandro Sandoval was hired at the general manager of processing plants. Mario Valdez Bustillos has been promoted to divisional manager of operations in charge of the La Encantada, San Martin and La Guitarra mining operations. Carlos Castro Villalobos has been promoted to divisional manager of operations in charge of the La Parrilla and Del Toro operations. Sergio Alan Moreno Zazueta has been promoted to corporate manager of safety, training and environmental. Carlos Wong has been promoted to manager of planning and innovation projects. Maria Vazquez joined First Majestic as geological database manager. Todd Anthony has been promoted to vice president of investor relations. The Society for Mining, Metallurgy and Exploration (SME) presented Michael J. Mankosa, Eriez vice president of operations, with the 2014 Frank F. Aplan Award during the society’s awards banquet, which was held in conjunction with the SME Annual Meeting in Salt Lake City, Utah. Stornoway Diamond Corp. appointed Ian R. Holl to the newly created position of vice-president processing. Prior to joining Stornoway, Holl was general manager, operations, for DRA Americas Ltd. in Toronto. Advanced Explorations announced that Eric Guo will take over as CEO while John Gingerich will continue as president and board chairman. 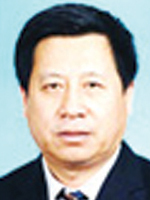 Guo, who has served as a board member since November 2009, is directly responsible for securing the recent partnership with Hebei Han-Xing Institute of Mining & Metallurgy Design Co. Ltd.
Rio Tinto Chief Executive Sam Walsh will be awarded the Honorary Degree of Doctor of Commerce at the University of Western Australia’s graduation ceremony. He will also deliver the graduation address. Majestic Gold Corp. appointed Stephen Kenwood as president and CEO. San Gold Corp. appointed CFO Gestur Kristjansson CEO. 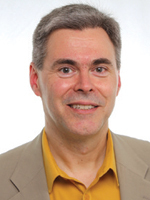 Kristjansson replaces Ian Berzins, who served as president and CEO since March 2013 and as COO since May 2008. Kristjansson joined San Gold in December 2006 as vice president, finance. Mandeep Rai, the corporate controller of the company, will serve as CFO. 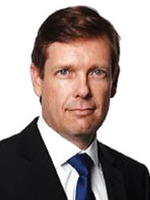 Dacian Gold Ltd. Chairman Rohan Williams has assumed the role of executive chairman. Current CEO and Managing Director Paul Payne is leaving the company. Williams was previously CEO and managing director of Avoca Resources Ltd.
Anne Lauvergeon and Simon Thompson will join the boards of Rio Tinto plc and Rio Tinto Ltd. as non-executive directors and both will become members of the Sustainability and Nominations Committees. 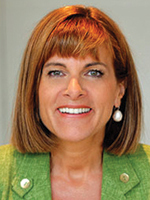 Lauvergeon served as CEO of AREVA Group from 1999 to 2011. 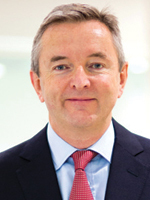 Thompson joined the Anglo American group in 1995 where he had a number of senior roles, including that of executive director, a position from which he retired in 2007. The boards also announced the retirement of Vivienne Cox as a non-executive director. 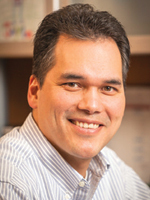 Dolly Varden Silver Corp. announced George W. Heard as president and CEO. Heard will maintain his position as a director of the firm. Heard is currently the president, CEO and director of Global Met Coal Corp.
China Gold International Resources Corp. Ltd. announced that Bing Liu, a non-executive director, has been re-designated an executive director and appointed CEO. 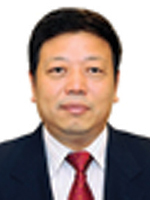 Lianzhong Sun has been appointed as a non-executive director. Sun also serves as vice president of China National Gold. Nevada Exploration Inc. promoted James Buskard from vice president corporate development to president and appointed Wade Hodges as chairman. 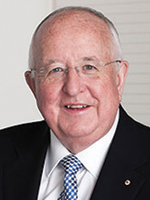 In addition to his role as chairman, Hodges remains CEO. Buskard joined NGE’s exploration team in 2004. 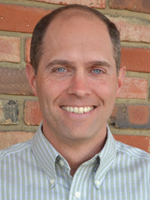 Bowie Resource Partners hired Manie H. Dreyer as CEO. He most recently served as president of BHP Billiton Energy Coal South Africa. Angkor Gold Corp. appointed Aaron Triplett as CFO to replace Jonathan Ronkai. 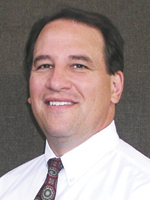 Triplett is currently the principal and owner of A.R.T. Tax. Professor Frances Wall has been elected as the first female president of the Mineralogical Society of Great Britain and Ireland. Wall, an associate professor in Applied Mineralogy at the Camborne School of Mines (CSM), will hold the post for two years. 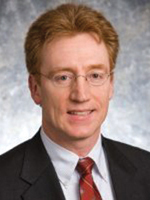 Sean K. McLanahan has been named CEO of McLanahan. Michael W. McLanahan continues as chairman of the board, while George L. Sidney Jr. remains president and COO. Together, these three serve as McLanahan’s executive team. Also, Jay Nartatez has been promoted to executive vice president, corporate shared services, and will also serve as CFO. Ken Kirsch has been promoted to executive vice president, business operations. Metso appointed Juha Silvennoinen president, services business line in mining and construction. Most recently, he was responsible for the motors and generators business unit at ABB. One of Camborne School of Mine‘s senior lecturers, Dr. Patrick Foster, received an Award for Outstanding Service from the Institute of Materials, Minerals and Mining to celebrate his career in mining. The Mining Foundation of the Southwest (MFSW)elected the following officers for 2014: Mark Baker, president; A. John Broderick, vice president and hall of fame chair; Eben Robinson, treasurer; and Scott M. Shields, secretary. 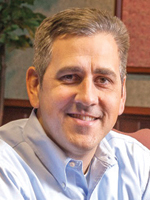 Wayne Chmiel was named vice president of loading and hauling at Sandvik. He was most recently product line manager of electric rope shovels at Caterpillar.